What Could Replace the Estate Tax? December 7, 2016 By JRL, Esq. If President-elect Trump and the Republican led Congress succeed in eliminating the federal estate tax (see my prior post), what could we see take its place? Two options are the carry over basis that we saw during 2010 when the estate tax was eliminated for one year. The other option is a capital gains tax imposed upon death. Canada implemented this option in the 1970s. What a Capital Gains tax replace the Estate Tax? Either option would cause a capital gains tax to be imposed. It’s just a matter of when the tax is paid. President-Elect Trump has even talked about imposing the capital gains tax at death on assets in excess of $10 million, with certain added exemptions for family farms or businesses. Since such plans have only been discussed in very broad terms, one can only guess at the details of such a plan, which makes planning difficult. For those currently involved in year-end planning, especially transfers to irrevocable trusts in light of the proposed 2704 Regulations, one must decide whether to complete the planning process. By way of example, assuming the capital gains tax on death is implemented, will transferring assets to a trust even be allowed to avoid the tax? There are some countries that tax the assets held in trusts every 21 years, thereby insuring that such assets do not avoid the capital gains tax on the death of the grantor. Could a similar system be used here? 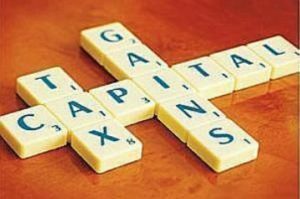 An additional problem is in regards to establishing basis to determine what the capital gains tax should be. This was a problem voiced by many when carry over basis applied in 2010. Many times the assets have been held by the decedent for many years and the basis information is lost or otherwise very difficult to find. What should be done? If basis cannot be established, the possible presumption may be a zero basis. Taxpayers would need to be careful, as they should anyway, to keep careful records of financial transactions.